I must be living on another planet! WHO are these people? 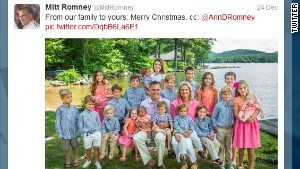 Come on, another Mormon like a Romney adopting is not news – they are SERIAL adopters of non-white kids. They had their own Mormon Indian Adoption Project! Thousands of Indian kids are now tithing each month as adults! They make this part of their religious belief – converting us Indians savages into paying heathens! Everywhere they have missionaries – those saving plans worked! But this is almost to the point of HYSTERIA! Anyone who ridicules trans-racial adoption is in the crosshairs now???????????? REALLY? I bet you money, more and more people are going to take a long hard look at human trafficking wearing the disguise of trans-racial adoption and wake up but not if they read these blathering propaganda-filled stories! 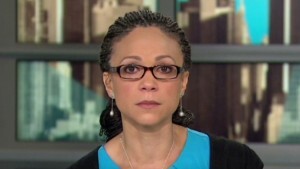 Los Angeles (CNN) — MSNBC host Melissa Harris-Perry chastised her guests for being too serious just before the controversial segment about former Republican presidential nominee Mitt Romney’s adopted black grandson. A source who was in the studio during the show told CNN that before the offending segment, the comedians were urged off the air to be funnier. The source asked not to be identified. 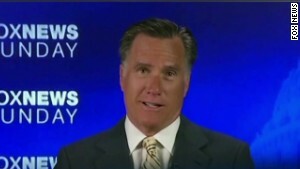 Clarification: An earlier version of this article failed to state that panelists on the Melissa Harris-Perry show were told off-air to be funnier prior to the segment during which they made jokes about Mitt Romney’s adopted black grandson. The story has been updated to clarify this. Harris-Perry would tearfully apologize for the jokes a week later. “My intention was not malicious, but I broke the ground rule that families are off limits, and for that I am sorry,” Harris-Perry said Saturday. The apology comes weeks after MSNBC host Martin Bashir lost his job because of remarks about former GOP vice presidential nominee Sarah Palin. It’s like we are living on two planets and on one planet – the white couples (Child Catchers) who adopt are still saviors. NPR Weekend Edition finds them since this is how THEY still think about adoption. Yet the woman who adopts three Black Kids writes a book to make a name for herself? It’s not the first time this happened. (The are tons of blogs by savoirs who adopted trans-racially). And NPR just jumped into the adoption propaganda game promoting people like her. That world is still spinning. I live in the new world – where adoptees and first parents have educated beyond these fallacies and mistruths. We have moved past that world into one where children and their safety are top priority, not who adopts them. Major contribution to Native American history published! After generations of Native children were forcibly removed from their Tribes and placed in residential boarding schools, children were also being placed in closed adoptions with non-Indian families in North America. Finding those children became a mission for award-winning Native American journalist-adoptee Trace A. DeMeyer who started research in 2004 which culminated in her memoir “One Small Sacrifice” in 2010. DeMeyer was introduced to Cherokee adoptee Patricia Cotter-Busbee, and the collaborated on their new anthology, “TWO WORLDS: Lost Children of the Indian Adoption Projects.” The book hits Amazon and Kindle in September. (ISBN: 978-1479318285, Price: $19.95 (PAPERBACK), $6.99 (EBOOK). The Lost Children in Two Worlds share details of their personal lives, their search for identity and their feelings about what happened to them. “The history of the Indian Adoption Projects is troubling since it was unofficially ethnic cleansing by the US and Canadian governments, and this practice went on for years without public knowledge, but I am happy to report it failed because we are still here and still Indians; and this book explains how we adoptees did it,” DeMeyer said. DeMeyer and Busbee agreed that “TWO WORLDS: Lost Children of the Indian Adoption Projects” is an important contribution to American Indian history. The book covers the history of Indian child removals in North America, the adoption projects, their impact on Indian Country and how it impacts the adoptee and their families, Congressional testimony, quotes, news and several narratives from adoptees in the US and Canada in the 375-page anthology. DeMeyer lives in western Massachusetts and Busbee lives in Washington state. Adoptees in this book are available for interviews. Posted on October 14, 2012 Categories Lara Trace HentzTags Adoptionland, anthology, Books, DeMeyer, Indian Adoption Project, Indian Country, Lara Trace Hentz, Literature, Native American Adoptees, Patricia Busbee, research, United States3 Comments on Major contribution to Native American history published!